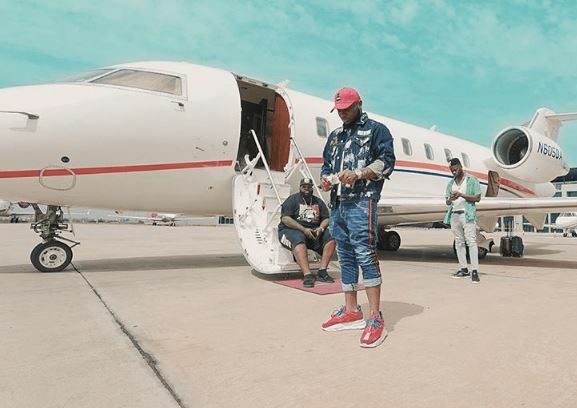 Davido, Nigerian music star, has opened up on the real owner of the private jet he allegedly bought in May. The Singer’s newly acquired private jet had stirred controversy on social media following claims by some fans that his net worth could not buy him a private jet yet. However, on Saturday after pictures of Davido’s father and his friends praying on the ‘said private jet went viral, the self-acclaimed Omo Baba Olowo revealed that his Father owned the jet. The ‘assurance crooner disclosed this in a comment on the viral photo.